We all know Facebook likes to infiltrate our privacy whenever possible in an effort to improve the recommendations behind their ads. This is how their entire business model works. People are now realizing Facebook is saving their previously searched terms, and not many are happy about it. While we’re not sure how long this feature has been around, it’s now possible to view everything they’ve saved regarding your searches and also possible to delete this history. For many, even if they don’t have anything to hide, knowing this data is saved is unnerving. Luckily, it’s possible to delete this history in a snap. We’re not sure if Facebook is nice enough to actually delete this data from their servers once we delete it from our account. However, it won’t hurt to keep the search history clean. 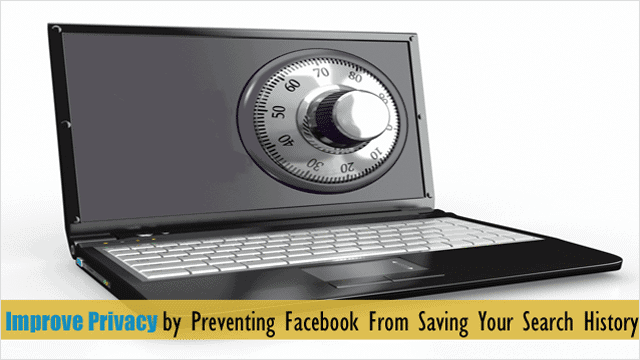 In this guide, we will outline how to improve your online privacy by preventing Facebook from automatically saving your search history. 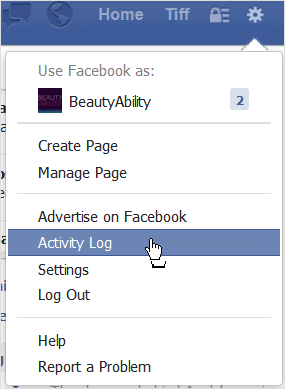 After clicking Activity Log, you will be brought to the main page for the activity log area where essentially everything you’ve done in Facebook is saved. After clicking “More,” the More menu will expand, and you’ll want to click “Search” next. The page that loads next will show all of your search history since creating your account (beware – it’ll be long). You can delete this information by clicking on the “marked check box” found to the far right of each search entry. When you click the box, you will get a message asking if you’re ok with deleting the search entry. Just click “Remove” to get rid of it. Otherwise, you can also delete all of your search history in one fell swoop by clicking “Clear searches” at the top of the screen. For many, Facebook saying they’re saving our personal information to help us out in the future (so we will find information that will interest us) is getting old. This is an obvious attempt to tailor their ads to each user. While deleting your search history in Facebook is a great place to start, remember that your Likes, Comments, Posts and the rest of your history will remain on Facebook, but in its individual category. While you can’t delete everything from these categories, you can adjust their viewing permissions to increase your privacy from prying eyes, and that at least is something.